Providence, Rhode Island's radicals Roz and the Rice Cakes; press photo courtesy of Jorge Vieira Photography. “Lock” is a song about feeling alienated when you’re most in need of help. It works on a personal but more importantly, political level. When refugees and immigrants are increasingly treated as threats instead of human beings, I think it’s important for us to try and imagine what it’s like on the other side of that closing door. NYC by Jersey by DC & based out of West LA’s Alexander Bernard graced us with the economic electro warm jet essence with the single “Jacuzzi”. The single rushes with the feel of water flows that move with body immersing motion that will inspire aspiring audio entrancers to take up their own mixing/beat pads & sequence new synthesized streets of sound. Featured off the new Sonic Unyon Records album New Mistakes, introduce yourself to the earnest, earth raising anthem “Norma Gale” from Terra Lightfoot that emphasizes utter strength & resolve in the biggest swaths of pop radio textures. The fervent dedication to keep on going is illustrated in no uncertain terms with all the pain passion, struggle & triumphs all rolled up into one unified sound. Cleveland’s own SomeKindaWonderful just dropped the single “Lion” that breaks the mortal continuum & coil in search of something beyond the points that connect life & death. “Lion” thunders with a roaring strength that desires a kind of immediacy of gratification that strives to understand the jungle from the trees. Emi Night, the creative leader of Strawberry Runners presents the self-made video for the autumn anthem of inner reckoning in the face of all for “Dog Days” featured off the upcoming Strawberry Runners EP In The Garden, In The Night available October 21 via Salinas Records. From field to forest & rocky natural environments; Emi offers up an expansive visual for a personal & evocative ballad to be further bolstered with life affirming affinities that makes the world feel brand new, at least for a moment. Unk brought the big show-shuttering flash & shine with “Shut It Down” featured off the upcoming Fresh Off Dem Papers available October 6 through Cleopatra Records. Unk brings all the big boss swanging-swagger with the sound of a super confident strut & stride that is the sound of walking into the event like a VIP with all eyes on displayed on the reason for the season. Introducing Stockholm artist Amanda Mair who delivered the single “Wednesday” that echoes with the ambient acoustics of an electrified cathedral. Available now via Despotz, Mair’s harmonies echo off the sparse digital synths & percussion that resound with a wealth of feeling. Also check out Amanda Mair’s single “Rush” that moves with a sense of urgent & adrenaline inspiring impetus that gallops toward destinations unknown & lesser traveled. Big Breakfast broke us off a little something from the new school with “Lil Known Fact” that offers insights into the every day motions of daily life. From the streets, to the subways, the sidwalks & supermarkets; Big Breakfast serves up a hedonistic slice of awakened & walking life to send your day off on the proper foot. LA by London’s Kidä dropped the single “15 Quid” via Tireless that illustrates late evening emotive atmospheres that groove like the fog that rolls in with the evening’s tides. A host of echoes spring off the artist’s vocals that mingle with all the electronic arrangements that hinge off the reiterations of I promise to never let you go that resound like a repeating voice in the mind that creates something to strive for. Paradise, a supergroup comprised of members from PJ Harvey, Marianne Faithful, Longview & Primal Scream shared a listen to their single “Goodbye 21st Century” featured off their Origins EP. The group signals the discontinuity of eras with a wide-eyed sense of excitement that rides the ebb & flow of the changes that we are often powerless to stop. Father Mountain provided the DIY performance pop visuals for “Friends” featured off their debut album Apartment Living. An intimate session with FM is enjoyed in an up close & personal manner where friends & fans alike enjoying the group live in their garage share a bond where they are an equal part of the action. 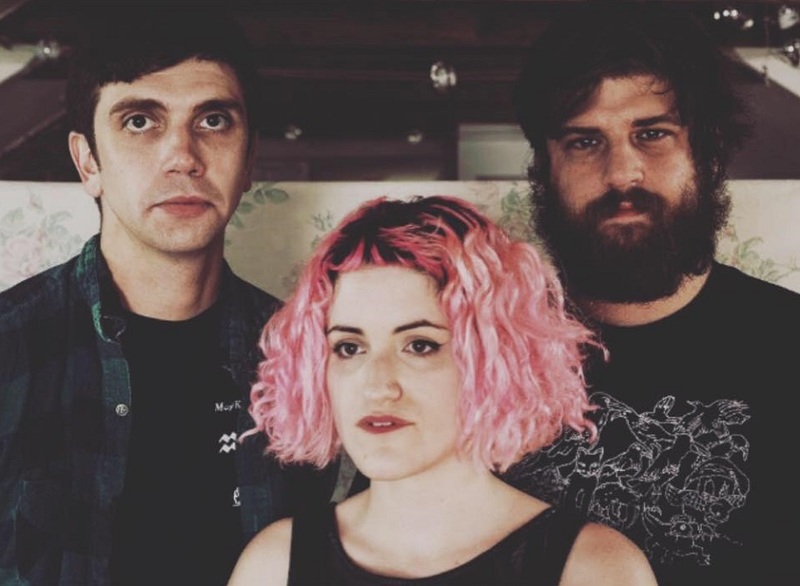 Rochester’s Ana Emily Monaco recorded the entire Stubborn Comfort album in one night with Maybird’s Sam Snyder & offers up a listen to the title track from the record slated for release November 10. The 8-track luster provides that evening’s intimacy where the angst & aches of life are heard in each strum & sung note from Monaco. Keep an ear out for more great things to follow from Monaco in the days & weeks to follow. LA’s Coyote Run, oka Kasie Shahbaz, presented the desert vocal pop of “Love From Far Away” that materializes like an audio apparition right before the listener’s ears. Evocative harmonies & distant melodies collect like some haunting & familiar melody that arrives & leaves but stays in the memory like some sort of mystical mirage. LOUIZA, oka SF by Oakland artist Rebecca Mimiagia readies the Tiny Telephone recorded album Party Trick & shares the single “Leash on a Tiger” that moves in manners of surprise & fascination at every turn. With unexpected items awaiting with each note, LOUIZA channels a plethora of musically minded cues to make for an economic/minimalist execution of intrigue. Check out the latest from thatshymn with the big ride or die single “Nothing Like Me” featuring phat atmospheric production provided by Chris McClenney. As those wavy vibes wrap around the listener like a late night/early morning fog, thatshymn brings those ever so slightly auto-tuned evening harmonic whispers of expression that works like intimate essences of endearment that reverberate in intoxicating motions. Littlefoot’s new album Lavender will be available November 17 & dropped the dreamy video for “Honeymoon” that embraces the endearing aspects & emotions felt in the afterglow. Vintage films images are mixed in with the chamber dwelling scenes that makes for a series of timeless feelings that will wash over the audience in the most unexpected of ways. Indulge in the sparse electro-pop adornments heard on Greta Isaac’s “Tied” that strives to break free from the bonds that hold us all back. From guitar strums that egg on a plethora of electrified instrumental components; Isaac entertains all the various burdens that can consume the entirety of our beings in our daily walk. Hot on the heels of “Holding Back”, Lyves brings more audio of effervescent intimacy with the urgent request of “Cover Me” The synths & percussion collect & move like planets moving in & out of alignment in strange patterns that mimic the needs & desires of humankind. Austrian artist Filous dropped the single “Already Gone” ft. vocals from Emily Warren that seeks for that certain someone that has already left, featured off the For Love EP. The searches & movements in looking for a kindred other are illustrated through rises & falls of arrangements that strive to hold a loved one even closer before they inevitably slip like sand through fickle fingers. Chelsea Cutler’s EP Snow In October is available today & presents a listen to the title track that welcomes the ways of winter that are soon to arrive & invade the orange & yellow luster of autumn. Boys, oka Stockholm solo artist Nora Karlsson, presented a listen to the single “Rabbits” that follows on the heels of the Love on Tour EP featured off the forthcoming debut album available in spring of 2018 from PNKSLM. Nora embraces a classic approach that embodies everything the world loves about well crafted pop songs penned from the heart & the talents of the mind & spirit. In more PNKSLM news, check out Luxury Death, the Manchester duo Ben Thompson & Meg Williams, with their new single “Diluted” that is part of a 52 page zine Digital Ceremony. With electrified synths & guitars; Meg & Ben bring about a blissful economic audio aesthetic of controlled noise that will affect all with ears upon instant listen/impact. Take a gentle stroll with Ella Grace’s evocative single “Here We Are Again” that works in rustic ways like a walk by one’s self with the comforts of chamber pop collecting about in the consciousness with every step & beat of the heart. Pageants graced us with their new single “Cacti For Clothes” from their forthcoming Eye•Dull release available October 19. Avi Buffalo’s Rebecca Coleman & Devin O’Brien take on a very vintage & iconic California catered vehicle of sound that coasts on a cool wave toward new Pacific Ocean blues of limitless dreams. Featured off the new Pere Ubu album 20 Years In A Montana Missile Silo available now from Cherry Red/MVD with word of the north Americana MonkeyNet Tour happening in November through December—take in the possessed pinball machine game that permeates the visuals for Pere Ubu’s “Monkey Bizness”. The post-punk legend carries forward the craft of carving pop art through dissonance that turns the modern medium on its head that offers up a little something to help us all handle the madness & business of international insanity that has engulfed our worlds. Playing London’s Hoxton Bar & Kitchen November 3; Blondage brought the boisterous break-up pop “Call It Off” that embraces the urge, beckon & call of what liberation can mean & bring. The feels of liberation are illustrated through an eco-maximalist arrangement of big bubbling electronic effects set to stun, shine & flutter with a building sense of excitement & wonder.